There is a new rewards program at Tim Hortons! I am so excited to see Tim Hortons introducing a new rewards program! I already earned my first FREE Reward! So how does it work and how to sign up?! Keep reading! With the new Tims® Rewards program you will score FREE items just for visiting your favorite cafe! 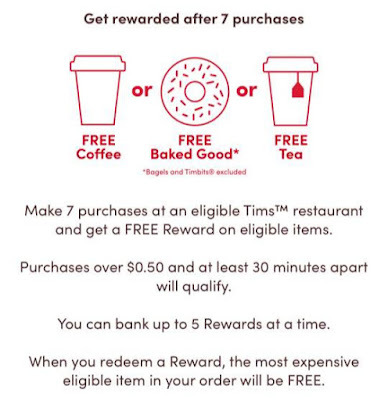 Members of the Tims™️ Rewards program will earn points that can be redeemed for FREE eligible items at participating Tim Hortons Restaurants in the US and Canada. Every time you make a purchase at Tim Hortons, simply scan your Tims™️ Reward Card. After seven (7) eligible purchases of $0.50 or more, a Reward will be loaded into your account. At your next visit, you can redeem your Reward for any size coffee, tea or a baked good (excluding bagels and timbits) completely FREE. You can also "bank" up to 5 rewards. If you prefer to bank your rewards, you can do so by ordering through the mobile app and choosing not to apply your reward to that order. 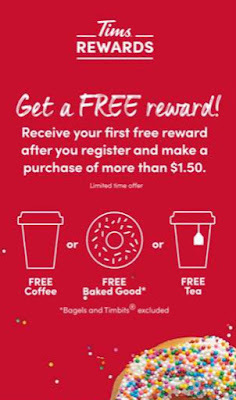 Plus, for a limited time, you will receive your first FREE reward (coffee, tea, or baked good) after you register and make a purchase of more than $1.50! 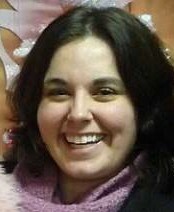 I earned my first reward earlier today - so exciting! The next FREE reward will be earned once you make six more eligible purchases (7 total). Keep an eye out for additional reward opportunities to come as well! Head over to TimHortons.com to register your email and sign up for the Tims® Rewards program. You can do it online and then share your card to your digital wallet but I found it easiest to download the Tim Hortons app. If you prefer to use a physical card, you can pick up a free rewards card at a Tim Hortons restaurant and register it online at Tim Hortons.com/rewards. Head to your favorite Tims and place your order. Scan your app, digital pass, or physical card to earn one (1) Tims® Reward point. Your points will be based on number of visits, not by dollars spent. To qualify for a reward point, each visit must be at least 30 minutes apart and contain a purchase of at least $0.50 after any other discounts are applied (like a roll up the rim tab). 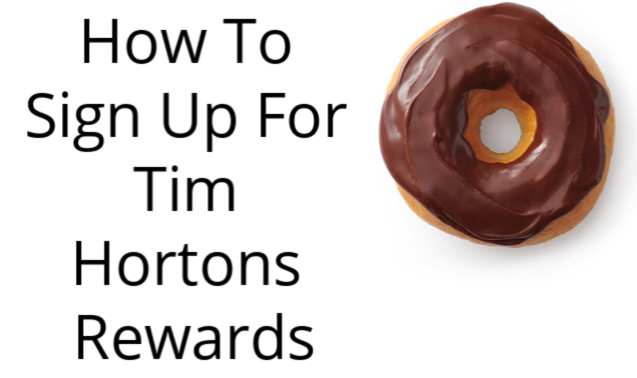 Even better - you can save time and order right from the Tim Hortons app! It's super easy and payment is completed in the app. Plus your reward point will be issued right away, no need to scan your reward card! You can choose to pick-up in store or Drive Thru. If you already have TimmyMe© funds or a Tim Hortons gift card, you can seamlessly transfer your dollars right into the new Tim Hortons app. 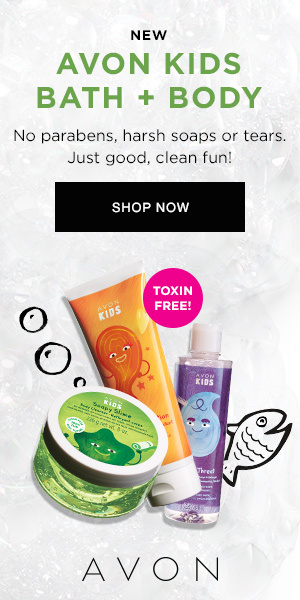 This way you won't miss out on earning any reward points! Your Tims™️ Rewards card can be used at any participating Tim Hortons Restaurants, which is the majority of Tim Hortons restaurants. However, a few Tim Hortons locations (like those at hospitals and airports) have different sale systems which means unfortunately they are unable to accept the Tim Hortons Reward Card. Transactions less than $0.50 after the application of any discounts won’t count towards your next reward. If you use a Tims™️ Reward however that will count! There has to be 30 minutes between Reward transactions. Purchases made within 30 minutes of a previous Rewards transaction will not count towards your next Reward. You can bank up to 5 Rewards on your account at any one time. Any Rewards earned above this will not be saved on your account until you have used the Rewards existing on your account. Any banked but unused Rewards will expire after 120 days.